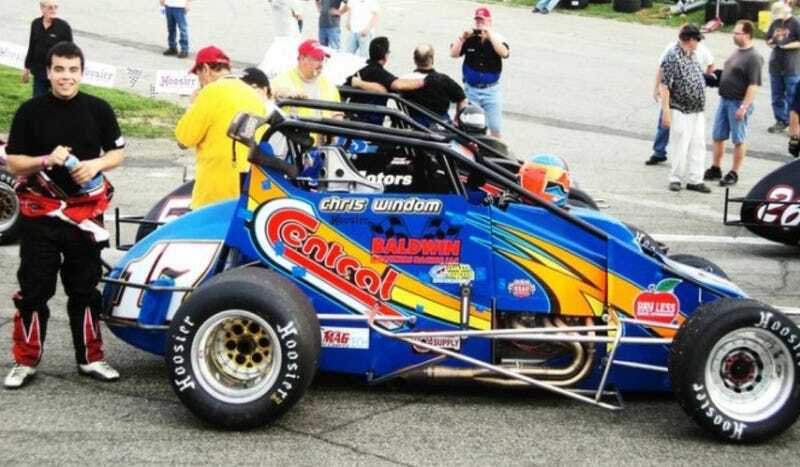 Chris Windom drives sprint cars, midgets and stock cars. He's an up and coming talent in oval racing. He has also mastered the art of the amusingly disturbing Vine. Oh, and he'd like to be called "Big Daddy," just in case you didn't know. There's something about a red spandex jumpsuit that accentuates all the awkward lines and bulges of the human form. Specifically, I now know that Windom appears to be a briefs man, and I'm not sure I needed to know that, thanks. "Can you believe I let this kid drive my race car?" remarked Tony Stewart upon reposting Windom's Vine. Sure, we can. He's a good driver, and I'm sure he enjoyed the opportunity to drive on Stewart's team. "Big Daddy" just, uh...um. I'm actually a little speechless on this one, but it's mostly because I can't quit giggling.